Super Smash Bros. 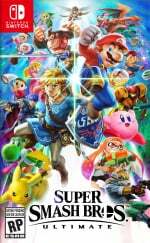 Ultimate is now available in certain locations around the world and amiibo collectors have been busy scanning every character into the game to find out what spirits each one unlocks. 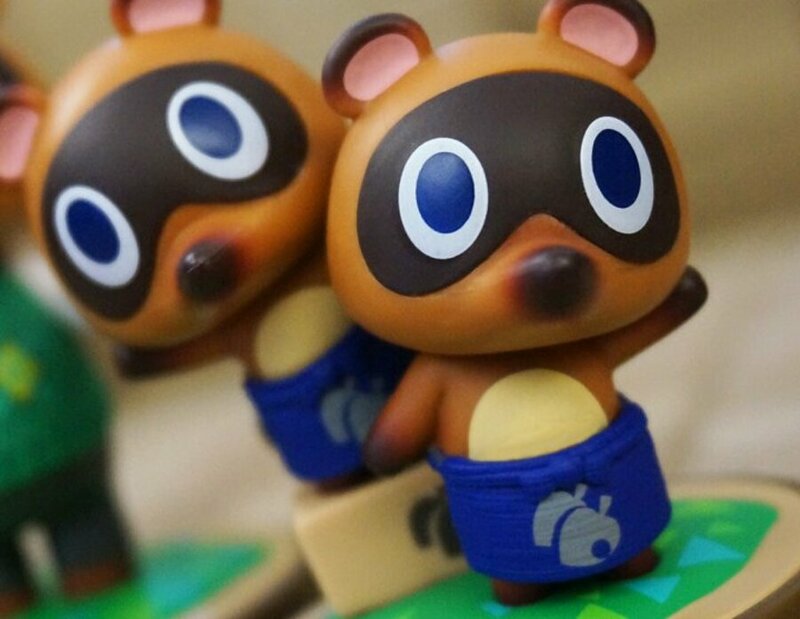 It turns out, the Timmy and Tommy Animal Crossing amiibo will give you access to a very special feature in the game. If you happen to have this amiibo in your collection, when you scan it, it will unlock Timmy & Tommy's shop. After you've done this, head over to the Spirits mode and then enter the collection menu. You'll see there's now a shop icon in the menu. Here you can purchase new items and spirits. Much like the existing games, certain items also go on-sale from time to time. If you're not an amiibo fan though, don't worry, as you can also easily unlock this through the adventure mode World of Light. Similarly to the Pikachu and Eevee spirits that can be unlocked early with a Pokémon: Let's Go save file, this Animal Crossing amiibo is much the same, providing immediate access to the shop rather than having to wait a while to unlock it. Do you happen to own the TImmy and Tommy amiibo? Have you tried scanning it yet? Tell us below. Quite a feature to lock behind an amiibo, if true. An amiibo unlock from a game nobody wanted (Animal Crossing: Amiibo Festival). Business really confuses me sometimes. Can confirm you can also unlock it via spirit mode after beating the same guys. I have Timmy & Tommy Amiibo. But, i use it for Animal Crossing New Leaf Welcome Amiibo 3DS / Miitopia 3DS / Mario Kart 8 Deluxe / Style Savvy Fashion Forward 3DS. I have this one, stores couldn't give them away at one point. That's... huh... interesting. I have all the AC amiibos, but only used them once each. Cool, an amiibo I actually have! It's really stupid to have to actually unlock it. Even with an in-game way to do it, there's really no reason to not just have the store open from the get-go. Sold. Literally just went straight to Amazon and ordered one for 11 bucks. Delivery tomorrow. @PolarExperience Umm I want Animal Crossing on Switch more than Smash. I like Smash, but I promise you, if AC on Switch comes close to being as good as New Leaf was on 3DS, it'll see a lot more play from me. @Heavyarms55 Should have clarified, I meant amiibo Festival, not the new entry. @Lizuka sure there are. Avoiding menu soup while people familiarize themselves with the game is reason enough. @PolarExperience Oh, is that actually where that Amiibo was released? I thought it was part of the "Welcome Amiibo" stuff when they added that big update for New Leaf. @Ashunera84 If they were concerned about easily navigated menus they wouldn't require you to have the entire series memorized to find characters and stages. Got a bunch of blank NFC cards lying around so guess I'll go unlock this now. @Heavyarms55 I thought that was when they used the amiibo cards. I might be wrong, though. Hopefully you don't need to own it and it is just an early bonus. Still annoyed you need to own specific amiibo to unlock Mii Costumes in MK8. @Lizuka they don't. They are unlocked in order. Now have to dig out this Amiibo and hopefully I have it as well. How are the fighter amiibo used in the game? Do they retain what they learned in the Wii U / 3DS game? Or are they wiped? You made no mention of amiibo in your review. @jtmnm "If you're not an amiibo fan though, don't worry, as you can also easily unlock this through the adventure mode World of Light." @Ogbert Ah, looks like they updated the article. Thanks! @PolarExperience it also worked on 2 other AC games. @PolarExperience I thought it was the other way around, that the cards came out with the Amiibo Festival in order to have WAY more characters than just the Amiibo from Welcome Amiibo. But I could totally be wrong. I didn't really keep track. I liked the Welcome Amiibo update a lot, but I didn't follow Nintendo news then like I do now. Never bought one Animal Crossing amiibo, but I found one last night at a Five Below store so I picked one up just for this reason. Does it work with Tom Nook? @Heavyarms55 The cards came out with Happy Home Designer and did not support Festival until later. The amiibo is supported by Welcome, Festival, and Happy Home Designer, but the amiibo started releasing with Festival. @Peterjr1 Yes, but the amiibo line started with Festival, so the figure is technically from Festival. HAHA, I picked up most of the Animal Crossing amiibo after they went to the $5 bargain bin....shortly after release actually. I'll have to remember to scan this one in when my game arrives, to have early access to the shop! "Similarly to the Pikachu and Eevee spirits that can be unlocked early with a Pokémon: Let's Go save file"
@Heavyarms55 @PolarExperience amiibo festival had card support from day one, most of the modes use them, and it even came with three unique cards. The cards did not gain festival support via an update or something like that, the game is simply capable of reading them. However, yes, the cards first released alongside the designer game, and the figurines first released with festival. That's great, but I scanned my Super Mario Cereal box and got nothing. I got Let's Go Pikachu because Eevee does nothing for me. In usual Nintendo fashion I am greeted with Eevee and not Pikachu when I started up Spirits mode. I also wanted to say that was the first shop I unlocked, so no, you don't need the amiibo. There are also tons of shops all over the place and they all take one spirit battle to unlock. Of course I have Timmy & Tommy. @Heavyarms55 Dang, I got mine from Gamestop for like 2 bucks. If you looked you could have gotten lucky and gotten one for the same price. @RQuinain But could I have had it shipped to my door overnight without ever having to leave my chair? It's not locked behind the amiibo. It says in the article that it can be unlocked playing the game.